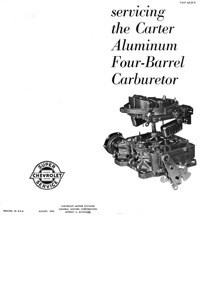 Twenty-six pages: Original factory service documentation for the Carter AFB used on high-performance 327 and 409 engines, including dual carburetors. 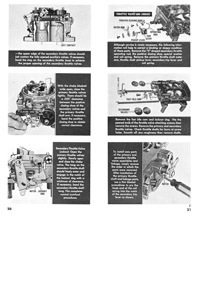 Includes detailed step-by-step illustrated rebuilding instructions, adjustments and diagrams. Fast, secure e-book download.